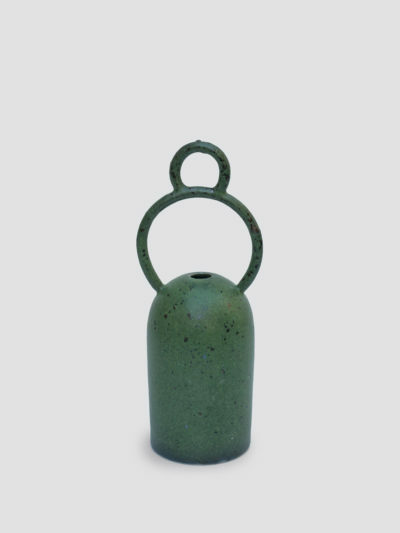 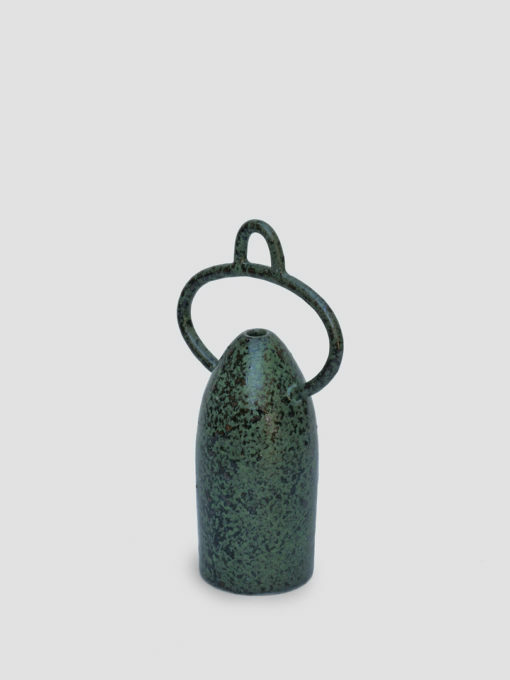 A wheel thrown white stoneware bud vase with speckled green glaze. 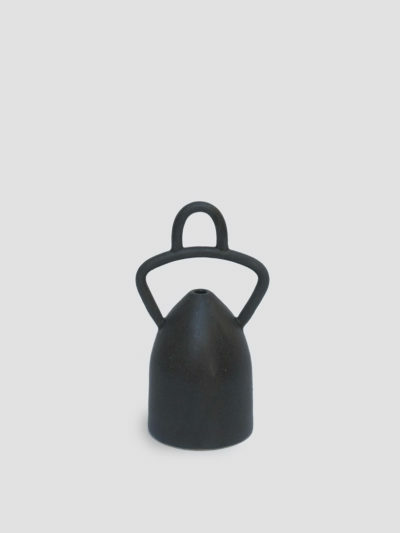 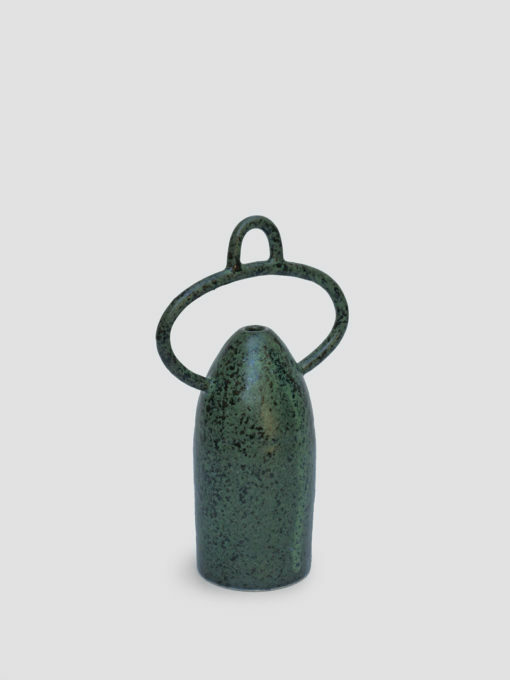 Perfect for a single stem or as a standalone art object. 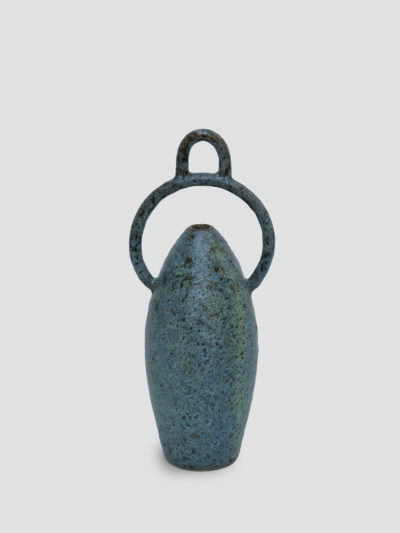 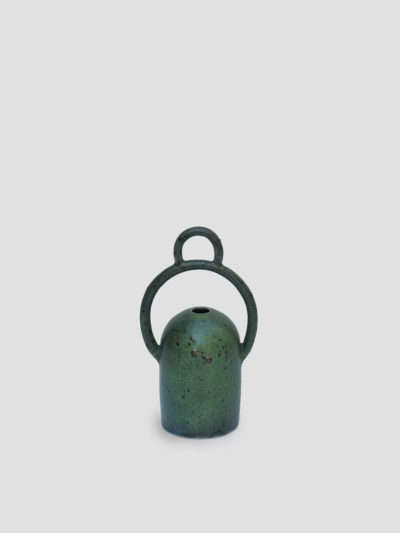 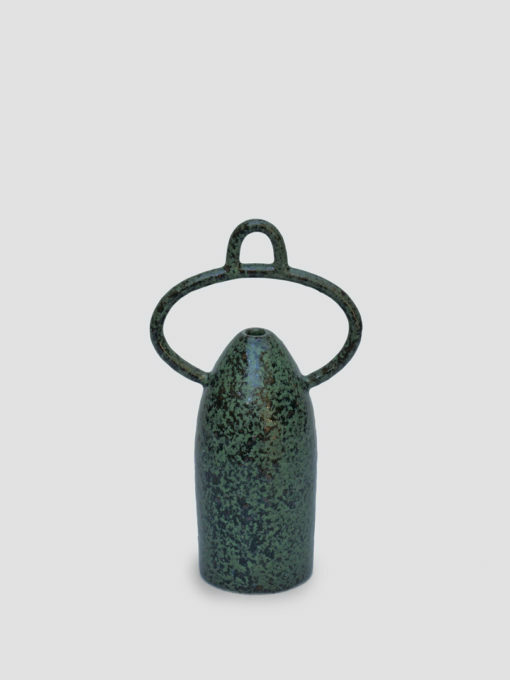 Vase measures 21.5cm tall and 12cm wide.